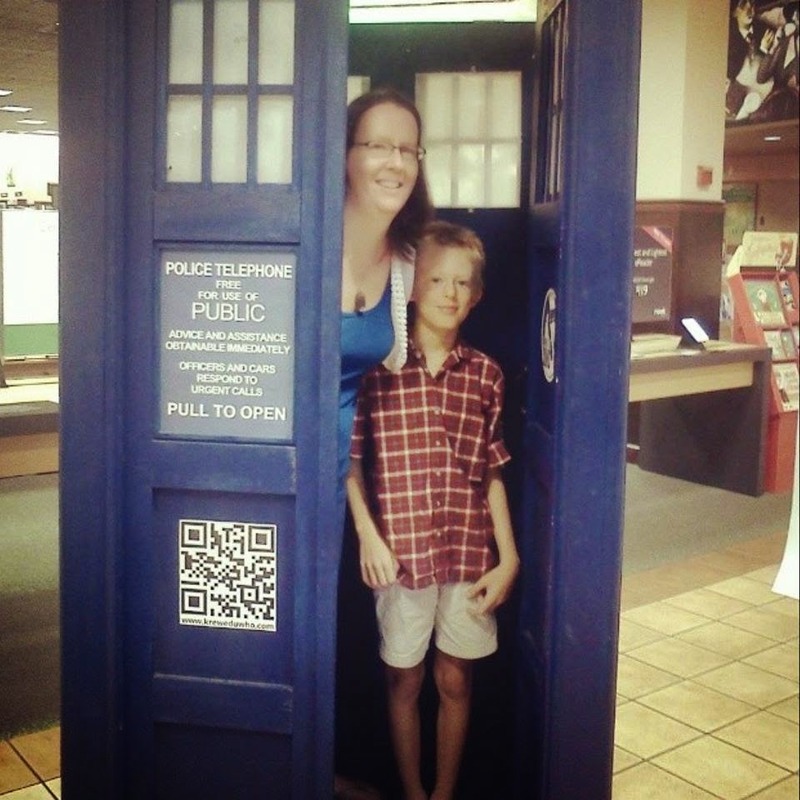 Welcome to the blog for the TARDIS Little Free LIbrary of Slidell, a community project to put more books in the hands of children and share the love of Doctor Who. We are so excited to announce we have arrived! Please visit the TARDIS Little Free Library at 301 Cousin St. Slidell, LA to take a book, return a book!! We welcome photographs at the TARDIS and please use the hashtag #tardisofslidell so we may find you on social media! The library is open so long as the gates at the Old Town Soda Shop are open! Special thanks to Mr. Frank Jackson and the Soda Shop crew for their patience, support, and help in getting this project going! Paul and I would like to say thank you to all who have supported this project! 1. Please respect Mr. Frank's property and do not attempt to visit the library if the gates are closed. 2. While you can get IN the TARDIS, please do so carefully! No shenanigans that would throw the space-time continuum off!! 3. You do not have to bring a book to take a book, please do try to donate books when you can. When you're done with the book you borrowed, you may return it to us or any other Little Free Library. Some books are extra special and we will post about those on Facebook and ask you to return them. 4. From time to time we will leave fun little trinkets for our guests to have. Please take these and enjoy! 5. We do need books! In particular chapter books for kids, YA and Teen books and nonfiction. Classics are always welcome! Please keep all donations PG-13 and under. If you have any questions, please do no hesitate to message us on Facebook or email tardsiofslidell@gmail.com. Please see our mention on nola.com and in the Times-Picayune. Thank you Carol! Find us on Instagram and Twitter @tardisofslidell ! Read-a-Thon to Support TARDIS Little Free Library! We are very excited to announce this FUN fundraiser! We are having a READ-A-THON!!! This fun project will encourage children to read while raising money for the TARDIS Little Free Library! Students who raise $15.00 or more in funds will receive a small prize and every participating student will receive a certificate of completion, which is helpful for homeschoolers, community service projects, scout clubs and more! Every child who turns in a form will be entered into a drawing for a $20.00 gift card to their local book store! Please be sure to read all the information below! If you take online donations, please be sure the donor's email address is spelled correctly and legibly, as I will be sending PayPal invoices to them to THAT email address. Encourage your children to have fun with this Read-a-Thon! Listen to audio books, let them choose their books, read together, read to younger siblings, and more! Please consider a donation to help this project come to life! You can donate easily at www.gofundme.com/TARDISofSlidell or you can contact tardisofslidell@gmail.com to arrange an offline donation. How can I help!? We LOVE you for asking that question! Right now, the best way you can help is to share our Facebook page, www.facebook.com/TARDISofSlidell and share our GoFundMe page at www.gofundme.com/TARDISofSlidell Any donations you can make would be helpful as well! Also if you have ANY books, we will take them! The focus will be books for children, non-fiction, and fiction but we will take any book that would be considered PG-13 and below. So chapter books, classics, picture books, banned books, we want them! So if you have any books you can donate please email Amy at tardisofslidell@gmail.com. If you are an author or publisher, we'd LOVE to talk to you and have your books in the TARDIS. **If you have any questions or comments please don't hesitate to email me, Amy at tardisofslidell@gmail.com or via the Facebook Page! Welcome! We are under construction but fun things will be coming soon! !